Towns and school districts try to find ways to pay for things. People try to stop pipelines. A yellow-legged bird creates intrigue and draws a crowd to Unity Park. A rehab project nears completion in Millers Falls. 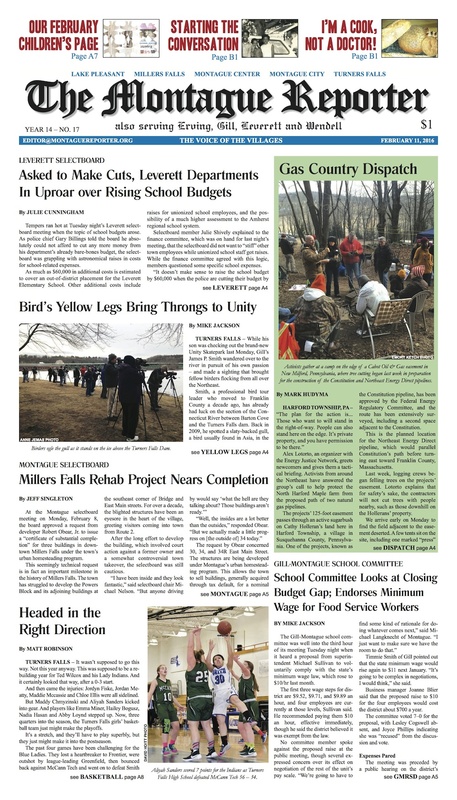 Plus: TFHS basketball recaps; editorials opining on the local and the national, the present and the past; and letters to the editor (thank you, letter writers!). MoRe: This Black History Month, a local resident remembers growing up Black in Franklin County. 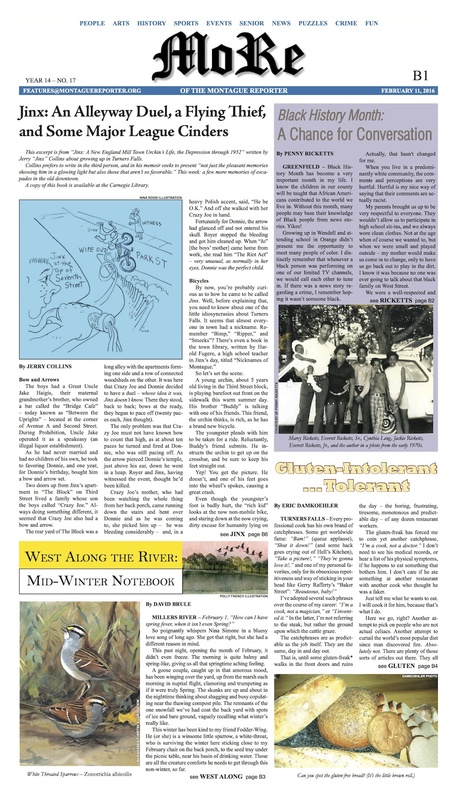 The latest installment from Jinx looks back at escapades in old downtown Turners. West Along the River takes stock at mid-winter. A chef sticks up for the “gluten freaks.” One of our writers reflects on her work for the paper. Our Children’s Page is back, full of art and fun ideas. And, in matters of the heart, the Healthy Geezer offers Part 2 in his series on heart attacks; the Pet of the Week tugs on our heartstrings; and we relent and print a poem for Valentine’s Day. This week, show someone you love them by buying them a copy of the Reporter!